A graduate of Johnson & Wales University in Charleston, SC, John Bryant has worked in high end restaurants on both the East and West Coasts of America. John and his wife Christian and daughter Larkin relocated to Knoxville in 2009 to re-open the legendary Orangery restaurant, instilling a sense of upscale Modern Southern cuisine with a desire to work with local farmers, artisans and producers, resulting in a AAA 4 Diamond award. In the past three years, Chef John has been actively involved with building relationships with folks from Knoxville to Chattanooga and Highlands, NC, (and all points in between! ), and is grateful for the opportunity to have spent time with the likes of Allan Benton, Alton Brown, Frank Lee, Hugh Acheson and Sean Brock, among others, all in the name of great food and warm, friendly hospitality. 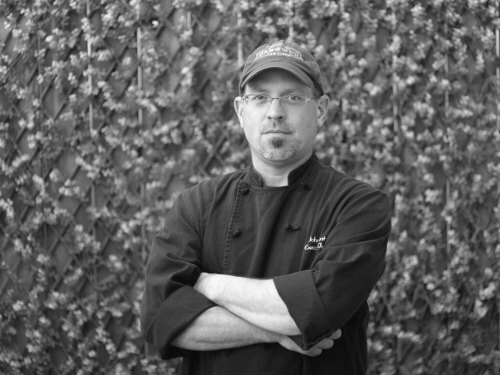 Chef John is extremely appreciative of the opportunity to join the team at Gourmet and Company, returning to his hometown to generously give back that which was so freely given to him by such great culinary minds.